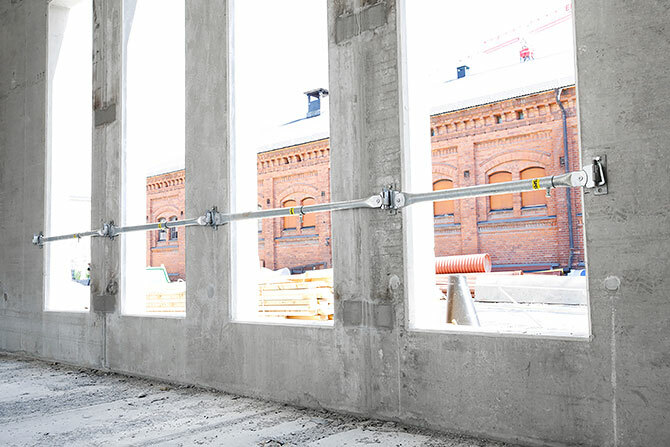 The wall openings should be secured with edge protections. 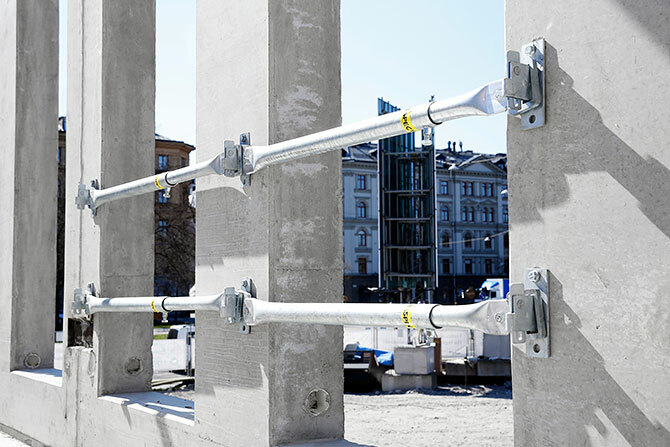 Wall brackets on each side of the opening together with Adjustable link bars should be used. 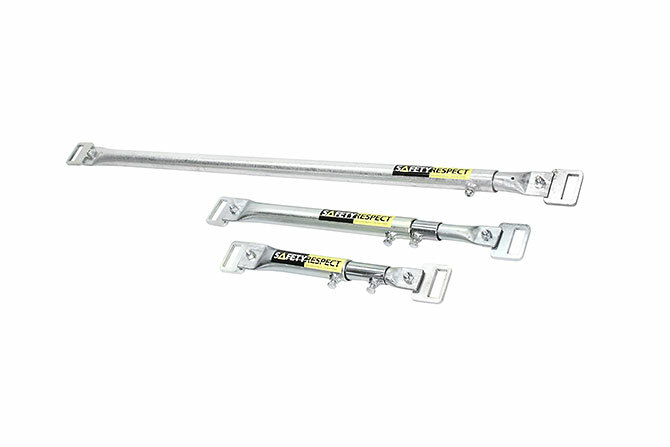 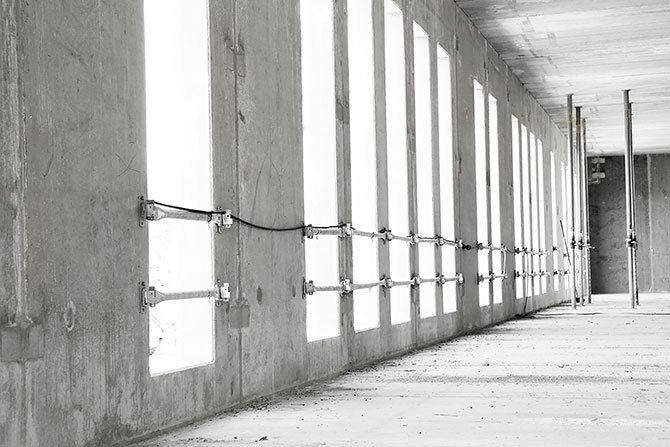 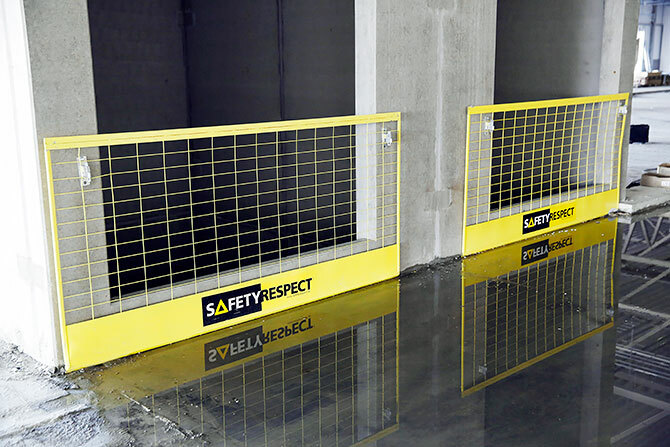 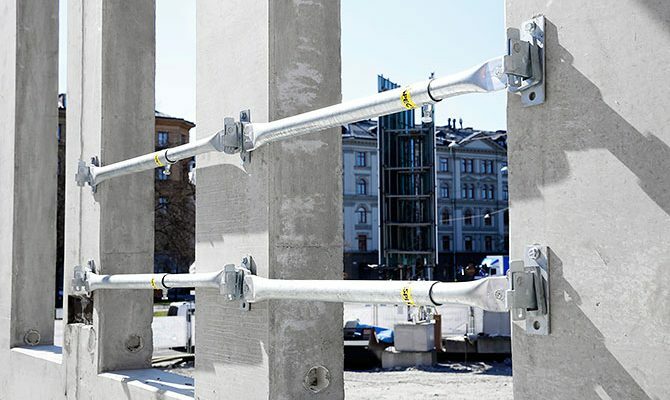 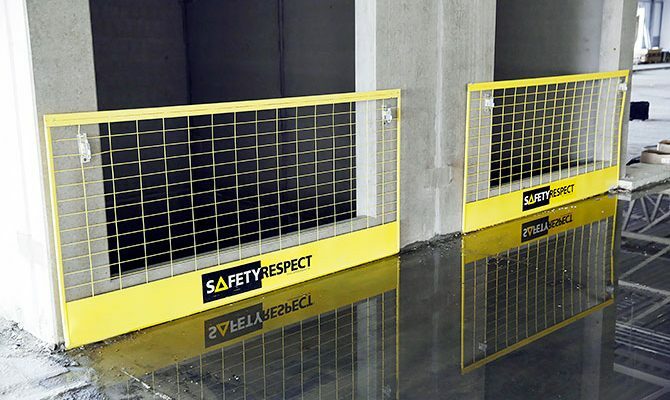 The Adjustable link bars are available in three different sizes for openings from 0,5 metres up to 2,5 metres. 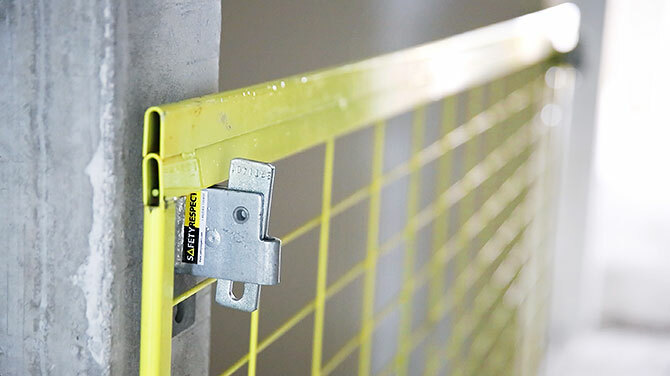 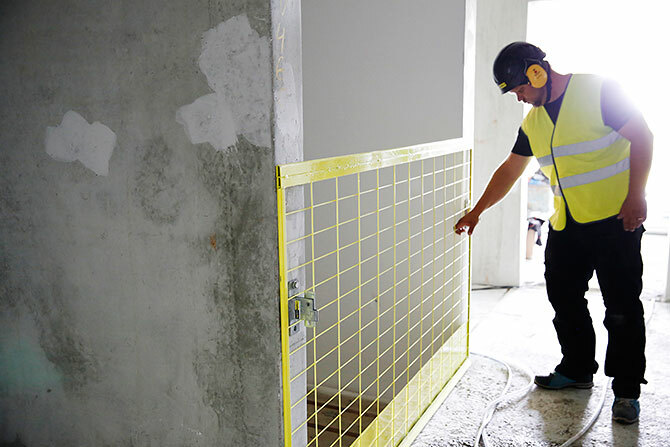 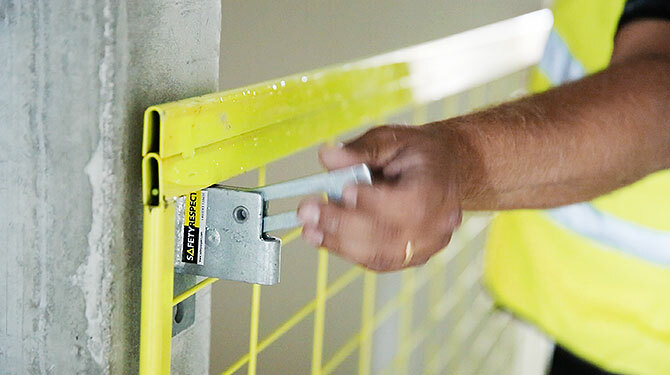 This solution makes it easy to remove and put back the edge protection when various types of work is to be carried out, and it also leaves space for different types of lead-throughs.